How ZO Rooms is growing in the budget chain hotel industry? ZO Rooms is India’s fastest growing chain of premium budget hotels. ZO Room is one that has all modern comforts that a guest needs. The cities may vary, but the experience will be the same as the company is maintaining the same business standard across the country. Founded in 2014 by Paavan Nanda, DharamveerChouhan, Tarun Tiwari, Akhil Malik, Abhishek Bhutra, ChetanChauhan and Siddharth Janghu, Zo Room is dedicated to provide comfortable accommodation at a location of customer’s preference, anytime and at affordable rate. Amount ranging from INR 999 per night to INR 3000 has been set by the company. [su_box title=”More startup of the week choosen by DSIM:-” box_color=”#c7c7c7″ title_color=”#000000″ radius=”5″]1)How Flexiguru is solving the needs of students by combining content with videos and making it their USP? Why we choose ZO Rooms as Startup of the Week? ZO Rooms is present in 51 cities and has tie-up with 700+ hotels. More than 7500 rooms are available over the platform to book and till date 176,000+ happy visitors have availed the facility of hotel booking through the website and app. All rooms are facilitated with free Wi-Fi, LCD TV, freshly laundered linen, complimentary breakfast, friendly service and 24 hour hot water. The rooms are maintained aesthetically to suit the tastes of a modern traveller. Their in-house and fully dedicated Customer Love team is available 24×7. To further ease the guests, facilities of easy check-in & check-out and 24-hour security are offered. At an additional cost, at many properties, services like laundry, on-call Doctor etc. are also offered. Revenue for the company comes in the form of commission from the hotels. The company charges a small percentage of sales that is generated through ZoRooms’s platform. The company has an Audit app which has above 200-point checklist on which each hotel is tested on various parameters like size of the hotel, linen quality, staff qualification and many others. Once the audit is concluded and the report is generated, then the company evaluatesit and on the basis of which it gives hotels instructions to work upon certain lacking points. 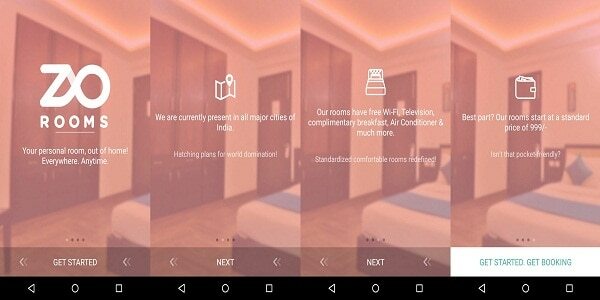 10 months old, this Delhi based budget hospitality chain ZO Rooms has raised funds in several round.ZO Rooms, with over 700 properties across 51 cities in India, in July this year raised $15 million from existing investors Tiger Global Management and Orios Venture Partners, and $30 million in August from the same investors. The company is adding 5 hotels aday and is launching in 2 new cities every week. 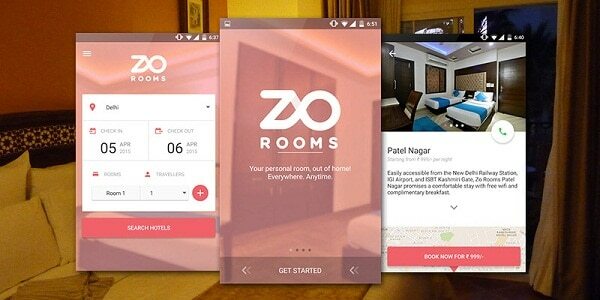 ZO Rooms aims to have around 2,000 hotels in 60 cities by December 2015. “Although we are a late entrant into the market, we are the first to launch a one-stop travel app that takes care of everything that a traveller needs, including stay, transport and food. We have partnered with Uber and Food Panda and when a traveller books a ZO Room on our app, they will have the option to get dropped to our hotel by booking an Uber cab and also order food via Food Panda,” added Nanda, the co-founder. [su_box title=”More From DSIM:-” box_color=”#c7c7c7″ title_color=”#000000″ radius=”5″] 1) Digital marketing will keep on growing, and it will become more and more dominant in our lives. 2) 10 childhood memories that reminds you of the amazing childhood you had!